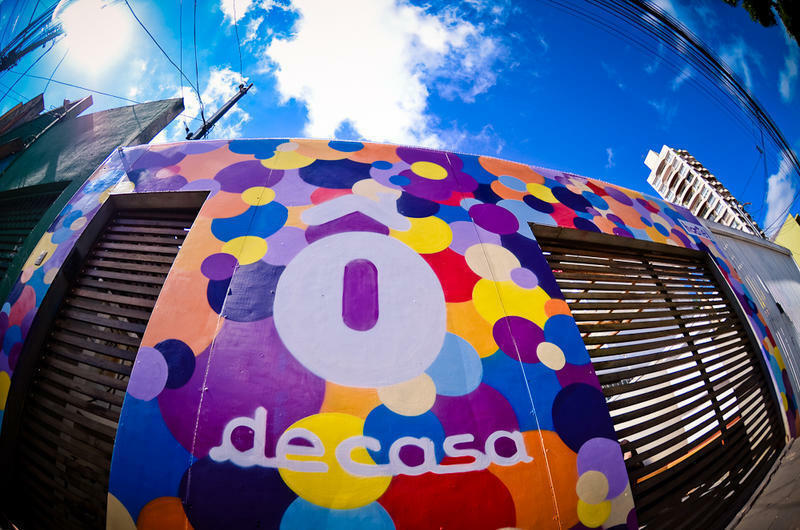 A hostel, a bar, open spaces and an great bunch of people to make it all easy during your stay in SÃ£o Paulo. Ã” de Casa is a house for travellers. We want you to have a blast when in SP, we want you to know what's going on in town, we want your days here to be memorable, we want to hear your travel stories, we want it common, shared, chilled, relaxed. For us to guarantee all that, the house has been designed with spacious dorms, open green areas, terrace, equiped kitchen and, of course, the Bar - serving sandwiches, aas and juices - a hangout for guests and paulistanos. The house sits in Vila Madalena, a great spot for nightlovers and day explorations, since the area is known for its graffited walls, cozy cafes, zillion bars, restaurants and design shops. The 24 hours supermarket, fruit market and the METRO nearby are pretty convinient as well. But staff is definitively what we do better. We are good at it. We know SP. We've travelled. We want to travel more. We like people. We are all good guys. And we want your stay in SP to be the best one. Cause when we are on the road, we want to have the best days in our lives. Count on us for that! - By bus: EASY EASY! (40min/R$5,35): From inside the terminal, take the EMBU bus and tell the driver you want to stop at the intersection of Cardeal Arcoverde & Fradique Countinho (Cardeal com Fradique). Walk down one block on Cardeal, and then turn right on Mourato Coelho. Walk one more block, and take a left onto Inacio Pereira da Rocha. We're number 385. - By conventional bus to metro Tatuap (1:30hour/R$4,05+R$2,90): Look for the Airport Bus Service's signs at the airport main exit. Buses taken there will drop you off at Tatuape Metro, and from there make your way by metro (stopping at Republica to switch lines) to Faria Lima Station* on the yellow line. - By metro: to Faria Lima Station. - By feet (13min/free! ): Walk up 4 blocks on Teodoro Sampaio Street to take your left on Rua Simao Alvares. Two more blocks and you will cross Rua Inacio Pereira da Rocha. We're number 385.